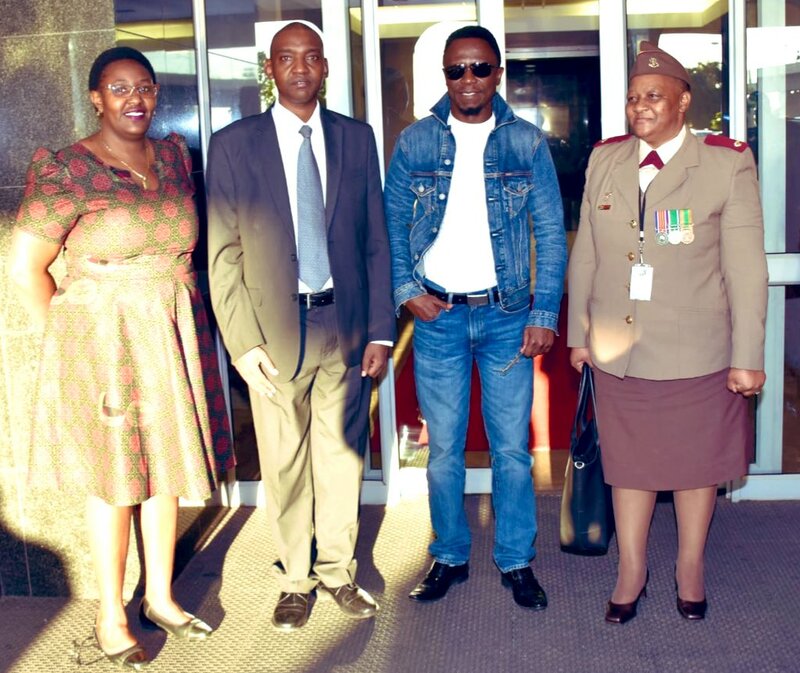 Foreign Affairs CAS Ababu Namwamba has been forced to respond to criticism from a section of Kenyans on social media who accused him of dressing like Congolese Soukous maestro Awilo Longomba during an official visit to South Africa. Trouble started when the former Budalang’i Member of Parliament announced on Twitter that he is in South Africa on an official trip. Namwamba also posted photos of himself dressed in faded jeans long trousers, jeans jacket and sunglasses.He was headed to represent President Uhuru Kenyatta at the SADC Solidarity Conference with Saharawi Republic. He got trolled by many Kenyans on twitter.”As a leader, you should observe dress code cause you are representing Kenya not your style,” wrote Luke Mwichabe. On his part, the former Budalangi MP stated that he likes to dress light when he travels. “Just got to love KOT, don’t you! Enjoyed this “Ababu-Terrah clad” brouhaha amidst the bustle of preparing to return home from representing my boss, my President in Pretoria. “On dress code thingie, I travel easy, and dress smart for officials. Denim is dope. That is my style buddies!” Namwamba stated. The post Hon Ababu Namwamba breaks down ‘dress code thingie’ appeared first on Kenya Today.